Known for its luxurious architecture, man-made islands shaped like palm trees, and record-breaking sky scrapers, the United Arab Emirates city of Dubai is poised to break another record by building the world's largest indoor ski slope as part of a new development called Meydan One. 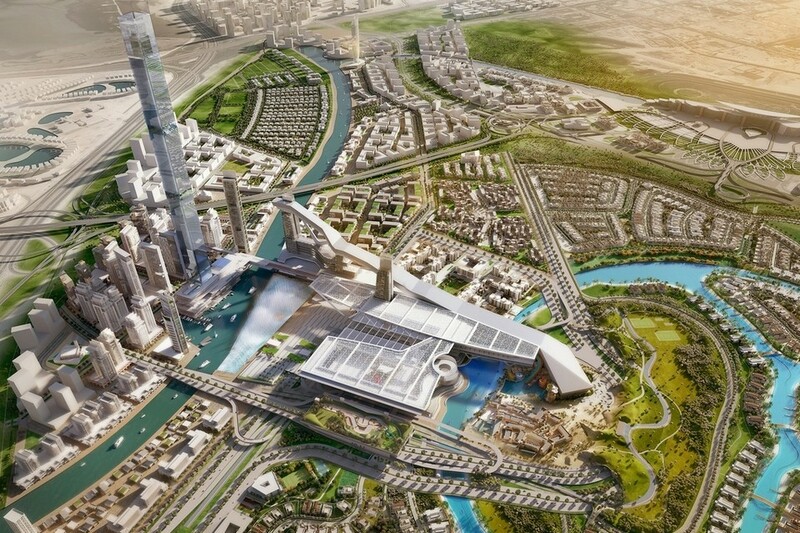 Dubai-based developer Meydan City Corporation announced the launch of the new 3.67-million-square-foot development Monday that will include a 4,000-foot-long indoor ski slope, among other attractions. Dubai’s first indoor ski resort, Ski Dubai, opened in 2005 in the Mall of the Emirates. Once the largest in the world, Ski Dubai has five runs that vary in difficulty, height, and gradient, the longest run being 1,300 feet with an (almost) 200-foot vertical. A great place for those who prefer to avoid nature while skiing. Courtesy of The Meydan City Corporation. “In a city which never stops innovating, today’s announcement is significant for the future of Dubai and the UAE,” Meydan chairman Saeed al-Tayer told The National. Last year the city logged 13.2 million visitors, and aims for 20 million tourists by 2020, when the first phase of Medyan One should be complete. So… Winter Olympics 2026, Dubai?